I really dislike it when people tell me to just buy what I need off of Taobao or DangDang. Then again, I have been known to be a very stubborn and grumpy dude sometimes — and this is coming from a guy who, back in New Jersey, actually shouted at a bunch of kids and told them to get off my lawn. However, getting back to the my point, shopping and browsing a physical retail space can be enjoyable for some people. This is especially true when it comes to buying books. Perhaps I am a bit of a literature nerd. Okay. Fine. Point taken. Still, there is a sense of adventure when you walk into a store and you let a book unexpectedly find you. Unfortunately, there is not a lot of places to do that in Changzhou, currently. What you can find are mostly just educational texts in Xinhua Bookstore branch locations. 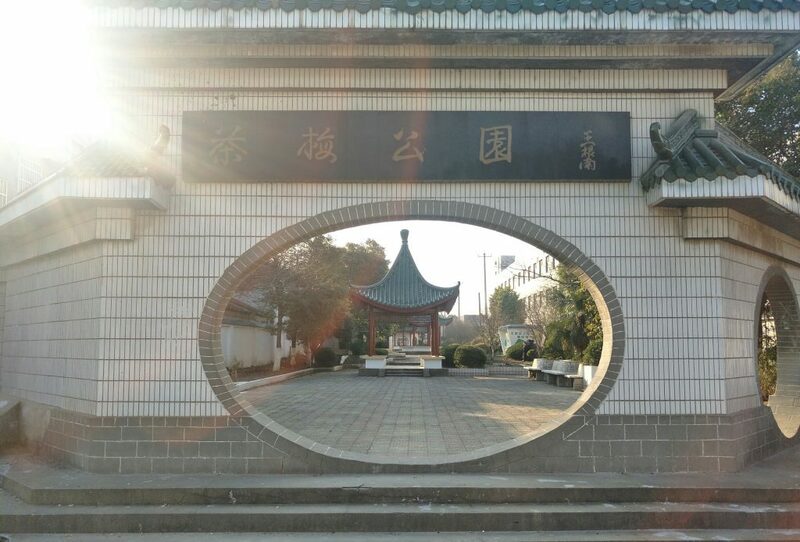 Changzhou foreign folk have been told the top level of Banshan, downtown, will eventually have have big non-Chinese selection of texts. However, that still has not come to pass. While this city is growing, there are still some things that you still have to go to Nanjing, Suzhou, or Shanghai if you do not want to use the Internet. Books in English are definitely one of those commodities. Thus far, there is one particular bookstore in Shanghai that I have frequented. Sure, there might be others, but this one has become a habit for its wide selection and a relatively easy location. It’s in The Bund, and I often mix my Shanghai book buying with equally enjoyable culinary investigations that involve sandwiches. Whatever your reason for a Shanghai day trip, Here is how to get the foreign languages book store. Get from Changzhou to East Nanjing Road. There are two ways of going about this. It depends on which train station you are travelling from. If you are going to Shanghai via Changzhou North, you will end up at Hongqiao. Two subway lines reach East Nanjing Road from here. Trust me, Line 2 is the quickest. The trains from downtown Changzhou will take you to Shanghai’s central station. There, you will have to take Line 1 to People’s Square and switch to Line 2. Exit 3 takes you through part of the basement of Hongyi, which is a shopping center. Once you are up and out of the station, the pedestrian street will be on your right. A smaller street will be on your left. Walk down the street. Do not turn afterwards. Stay on this street. As I said, you should be walking a straight line. You haven’t turned. 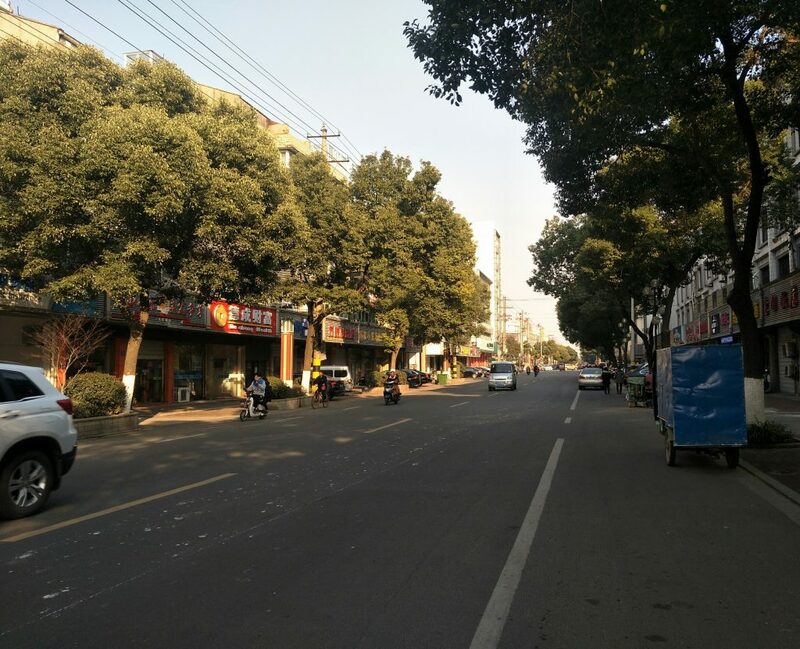 You should pass through any intersection with Hankou Road 汉口路 on your way to Fuzhou Road. 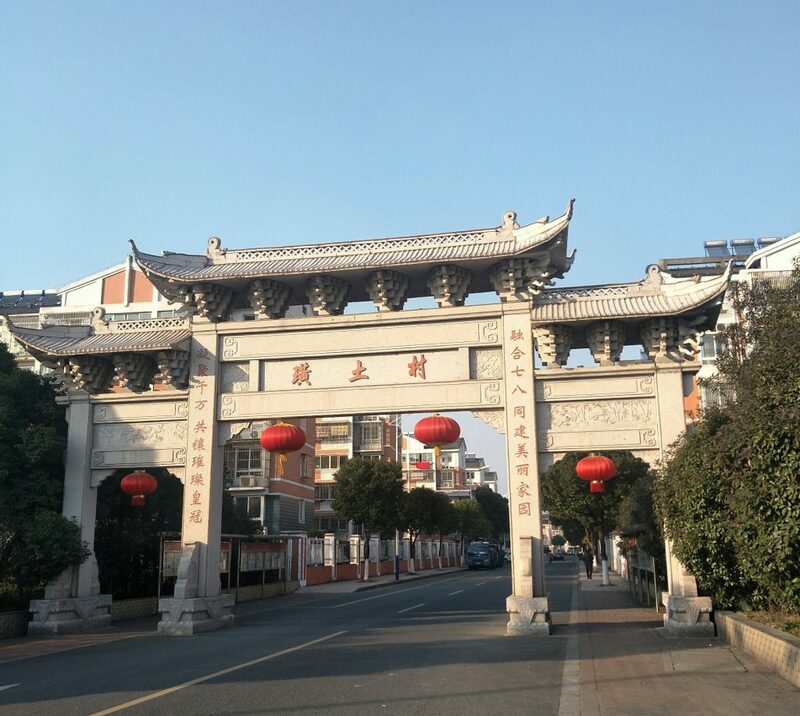 Once you find Fuzhou Road, turn right. You will know when you are in the general vicinity. There are other book stores around here. One is dedicated to art and photography. Most of the stuff sold there is in Chinese with slick colorful pictures, but they do sell beautiful Taschen volumes. If you are into art, this is one of the biggest international art book publishers. If you see this particular establishment, you have actually passed the foreign languages book store, but not by far. Your target destination is pictured below. Note: This is another travel post. This will be the last. I am leaving New Jersey and will be arriving back in Changzhou on the 5th of July. 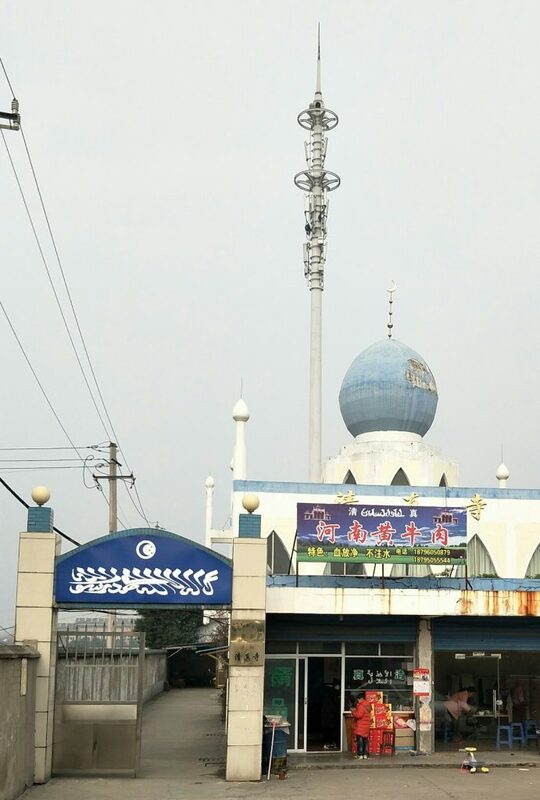 Spotting a Buddhist temple in Changzhou is fairly easy. The traditional architecture is the basically the same. The four points of every roof curve upwards. The buildings themselves all are yellow. In some cases, some of the windows in the walls or in the doors all possess ornate woodwork of intersecting lines and right angles. Never, ever do you see a temple with a white paint job. 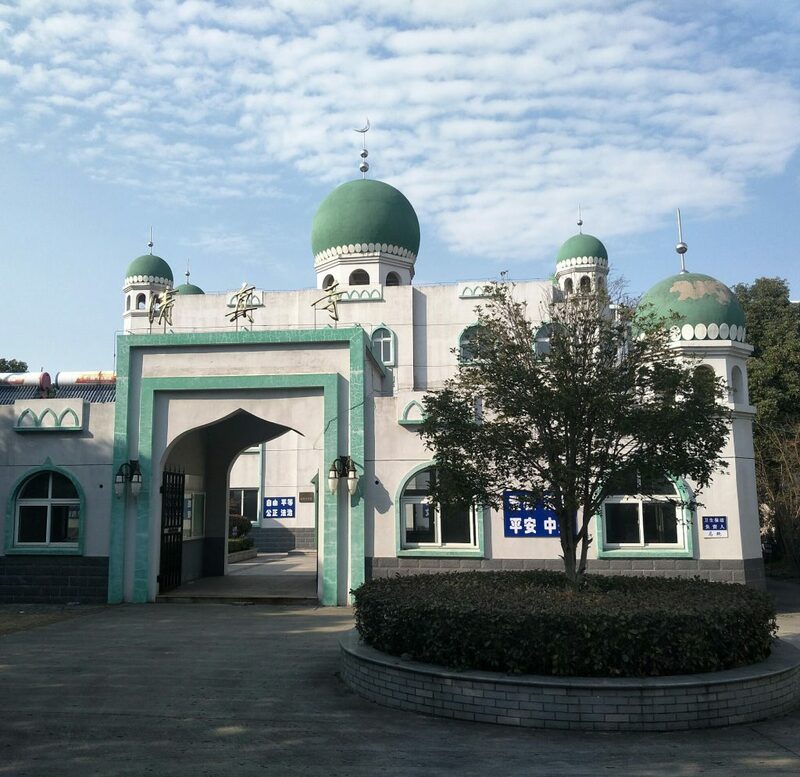 However, not all these places look the same — from the outside — once you leave Changzhou or China in general. Just as the religion can be interpreted differently around the world, so can the look of a place of worship. This is extremely evident in Howell, New Jersey. The Garden State is perhaps more well known for have a high per capita amount of Catholic and Jews. Once a person gets closer to the northern end near New York City, there are also dense neighborhoods of Muslims, too. People do not often mention Jersey and Buddhism in the same breath. However, there is one notable community of Mongolians that has lived in the Garden State since the end of World War Two, and they have called Howell home for many decades now. These are Kalmyks — otherwise known as Western Mongolians. These are people far outside the reach of Mongolia or the Chinese province of Inner Mongolia. Historically, they settled around Central Asia and areas of that could be described geographically that now fall into Russian or Ukrainian territory. The history of resisting Russian power goes back centuries, but in early Twentieth Century, they chose to oppose to Bolsheviks in the Russian Civil War. Since the Red Army and communism won, the Kalmyks eventually had to flee. Some of them ended up setting up a community in southern Monmouth County, New Jersey. As to be expected, casual American racism often lead this group to me misidentified by locals as ethnic Chinese or Japanese. Never mind that they landed in the USA able to speak their native language, Russian, and a few other tongues. They worked hard to embrace the very flawed, but inherently multicultural society that New Jersey essentially is. Many have married outside their ethnicity, and over the decades the small Kalmyk-American population has been shrinking. Their assimilation into American culture has also left their presence in Howell sometimes hard to spot. They own bungalows or two floor homes just like everybody else in the area. Their three Buddhist temples, however, still remain. 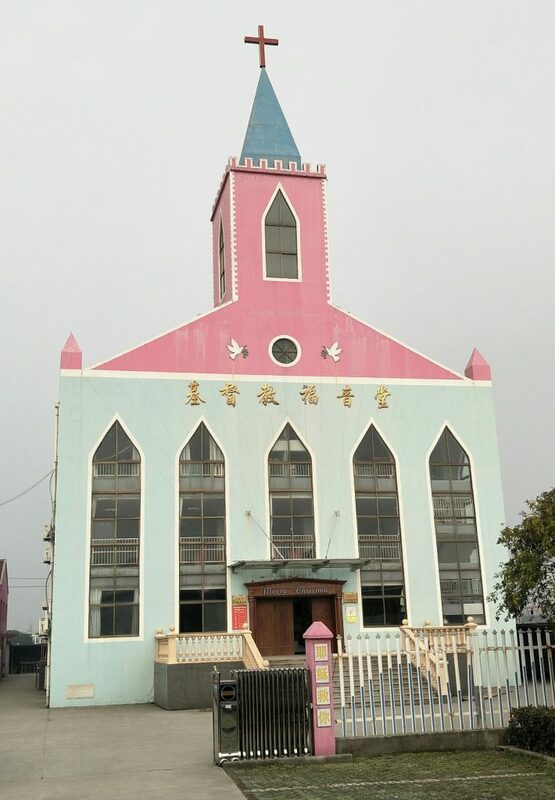 And these places look nothing like the places of worship you would find in Changzhou and other Chinese cities. These look decidedly suburban, and all three of them are located in residential neighborhoods. They are also small, and unassuming — easy to miss if you are not looking for them. Two of them look like your standard family dwelling with aluminum siding. Only one has a look of anything like the traditional architecture one might expect. 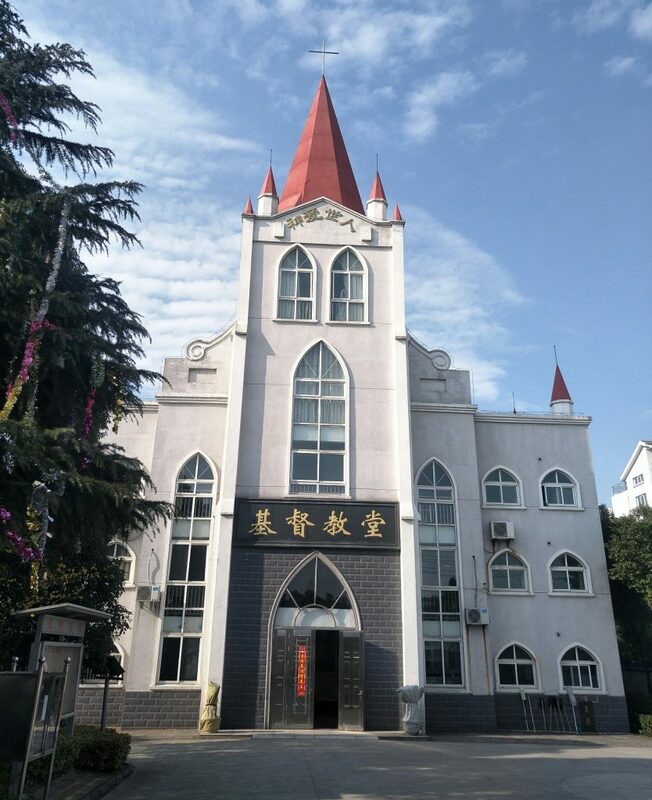 Religious difference might also fuel the differences in look between Changzhou’s and Howell’s temples. 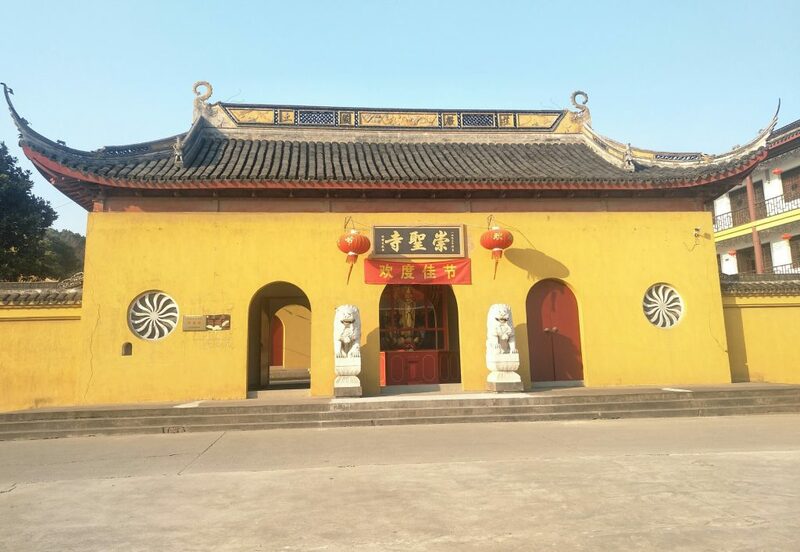 Many of Changzhou’s temples are Chan / Zen orientated, but with an ample influence of Chinese folk religion and Taoism. The Kalmyk’s Buddhism is more Tibetan in nature, and this can be seen in one temples ample amount of colorful prayer flags fluttering in the breeze. I never had a chance to see the interior of the temples on Kalmuck Road or Sixth and Fifth Streets in Howell. I am sure if I called in advance and explained my purpose, I would have been given a tour. Essentially, I had just showed up and wandered around. I talked to two monks at two of the three places. They were extremely friendly, and chatted for a bit. 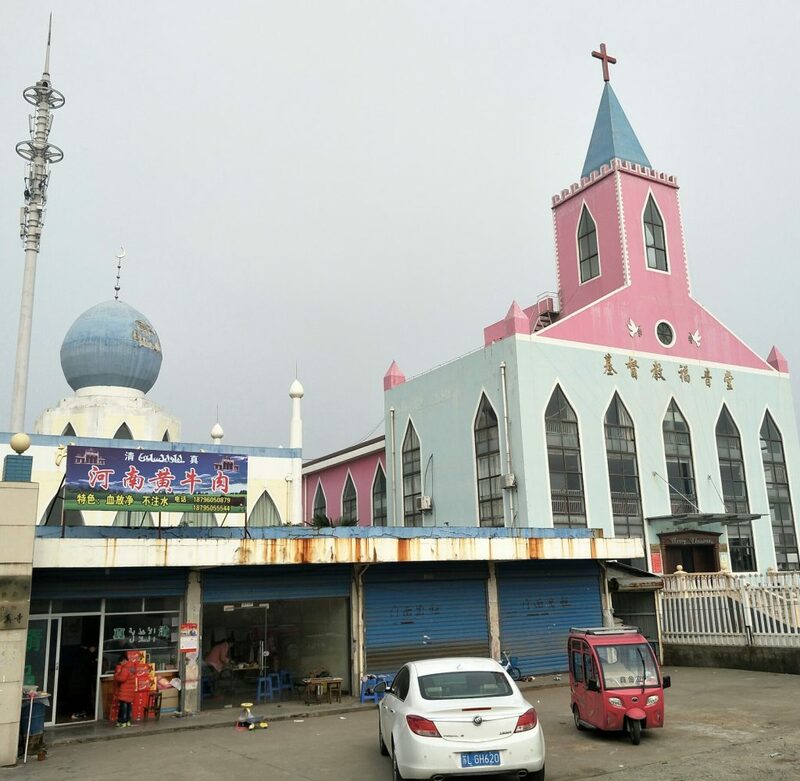 Most were intently curious about what life was like in China — especially in how I described how the Buddhist temples in Changzhou were different from the from the small, quiet places they called their spiritual homes. Once I parted ways and started on my way back to my father’s house, I passed by a few Russian Orthodox churches. Place, there were a few other Christian places, too. And then, I got stuck in traffic in Lakewood, which is filled with Hasidic Jewish synagogues and yashiva schools for Torah study. The sidewalks there are often filled with orthodox Jews in their black pants, black jackets, black fedora hats, and neatly ironed white shirts. All of this, within just a few miles of each other, reminded of how much more multicultural New Jersey is than many other parts of America. Note: I am still in New Jersey, which is why there is a string of comparative travel posts. At first glance, it might be insane to compare Changzhou with Asbury Park. One is a 4 million plus industrial metropolitan center in China, and they other really is a city in name only on the Jersey Shore. Asbury Park gets its “city” tag more as a municipal label than as an actual urban center. There are many substantial and superficial differences. Asbury is next to an ocean, and Changzhou is along the Yangtze River. Monmouth County and most of New Jersey in general does not have air problems, and there are hardly any factories around here. People hardly treat Changzhou as a tourist destination, and beach goers flock to Asbury Park every summer. If you look deeper, though, there is one important similarity. It’s ongoing development. In Changzhou, something new is always being built and is under construction, and Asbury Park often feels the same way. Both when I lived here and now when I return every summer to see family, there also seems to be new condos under construction. A lot of them look the same. In Changzhou, there is always those brown cookie cutter residential high rises being thrown up. Asbury Park has been under redevelopment for years. It used to be a swanky destination for the wealthy 80 or so years ago. Then, it slowly fell into disrepair. Race riots broke out in 1970, and much of the town burned. From there, the place descended into severe urban blight that it almost never recovered from. Take the most decrepit looking parts of Newark or New York City, and put it next to the Atlantic Ocean. That’s what the area looked like. One sarcastic bit of grafitti boasted: “Asbury Park: Where the debris meets the sea.” Sometimes, debris even floated in from the sea. It it’s worst, garbage covered the sandy beach. In the 1980s and 1990s, the whole town looked like a shooting locations for a post apocalyptic science fiction movie. Crime and drugs were also rampant. Often, people drove through Asbury with locked doors. When I moved to this place in 2004, walking out the door meant you possibly might have to contend with drug dealers and prostitutes. I once met a woman who fit both descriptions. However, people other than myself and my wife at the time were trickling in. The LGBT community, like it has in other parts of America, had moved in where renovating the town one house at a time. From there, real estate values have gone up and down, but Asbury has been on a recovery trajectory ever since. 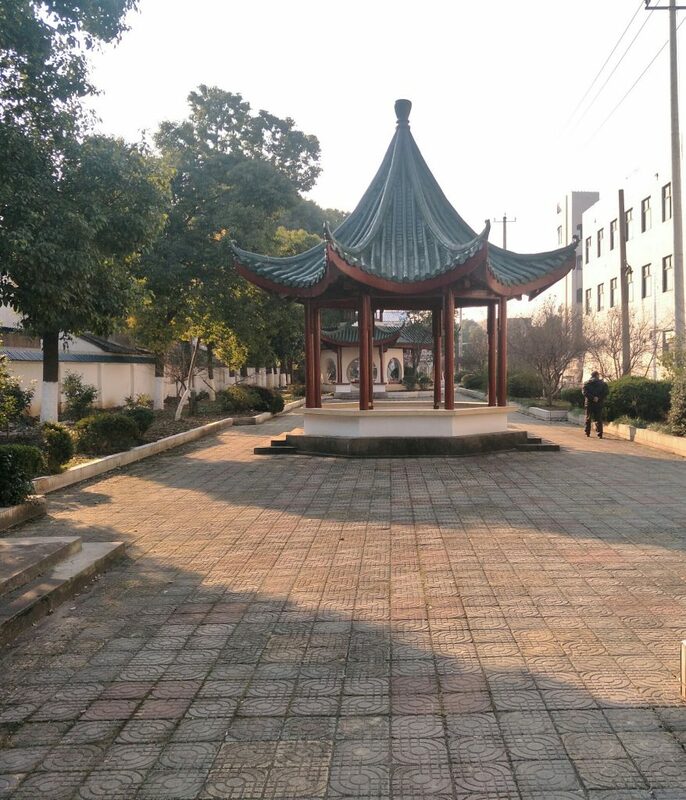 However, when I walk through here, now, I am oddly reminded of Changzhou sometimes. 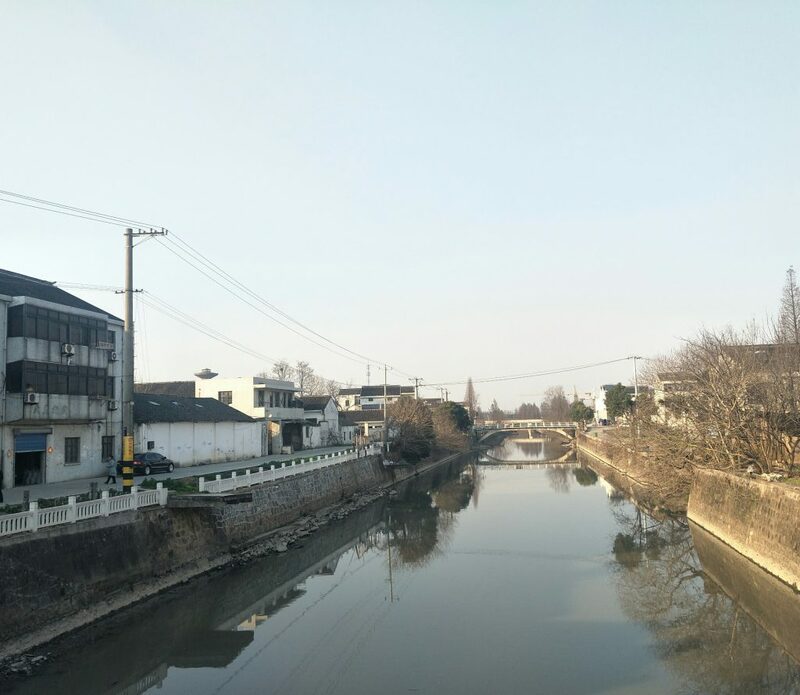 For all of the speedy economic development, you can still find empty, derelict spaces in districts like Wujin — even in the prospering uptown of Xinbei in the greater Wanda area. It’s the same in Asbury. For every new condo development, there are still blighted and boarded over areas. It’s especially true the farther you get away from the beach and cross the train tracks. You could also say there is one thing in Changzhou that always reminded me of Asbury Park. When I moved to Wujin in 2014, I saw the skeleton of a high rise. 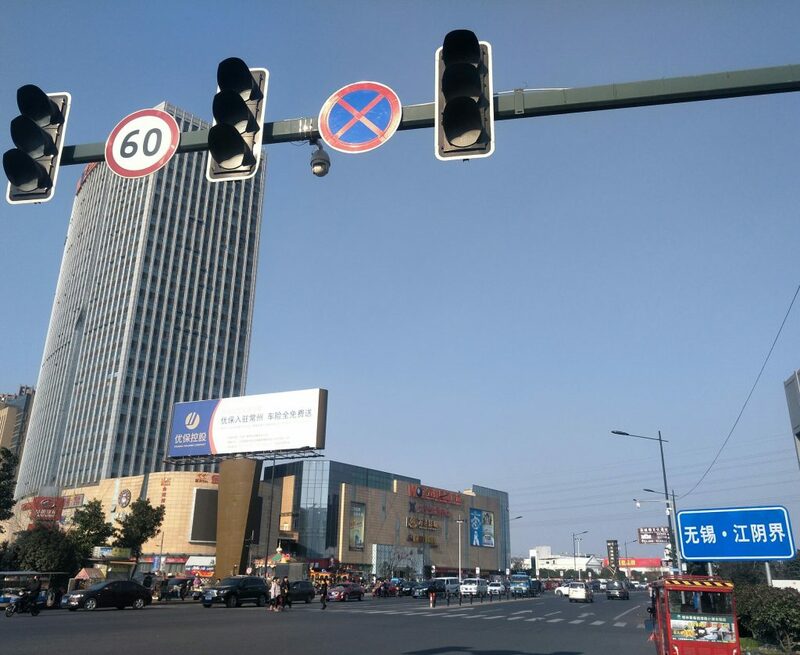 It was unfinished, and it stood on the 2 and 302 bus routes along Heping / Changwu Road. Two and a half years have passed, and no further construction has occurred. Something similar has happened in Asbury Park. There used to be something called C8. It was a project that never went beyond a steel framework. It became abandoned, and it became a fenced in tower of rust for a long time. This became a sore point for many of the old and more recently arrived locals. People cheered when it eventually became demolished. Once the rubble was cleared, another construction project took its place. And then, ironically, the real estate market in Asbury flatlined again. Construction halted, and now there is new and different failed real estate project there. The similarities between Changzhou and Asbury Park essentially start and stop there. The Jersey town only has a limited number of spaces to develop. In theory, the construction projects will come to an end. In Changzhou and China in general, it will likely never end. Something is always getting bulldozed to make room for somethng else. Unfinished construction where the infamous C8 rusted ruin used to stand. If you are traveling from Changzhou to Shanghai Pudong International, new and extra security measures are in place. This came about because of an explosion that occurred at a ticket counter. Somebody lobbed a crudely constructed explosive, and four people became injured because of it. In all honesty, this new security check didn’t take much time. I recently flew out of Pudong while on my way to New Jersey to see my family for about 13 days. When I went through this checkpoint, I had walked from the Maglev station to the terminal containing United Airline’s ticket counters. Once I reached the check point, I saw that they were wanding ten people at a time. This was to speed up the flow of travellers. By wanding, I mean security officiallys rub a piece of fabric over everybody’s luggage and bags. If an alarm is tripped, then they will more than likely check people within that group individually. If you want to hear or speak Mandarin in New Jersey, the best thing to do is get a massage. Such differences are fundamentally different in Monmouth County than it is in a city like Changzhou. In New Jersey, it is not the same. Chinese styled accupressure places are typically located in shopping malls. Many of the customers go to the mall to buy one thing, and then getting work done on their back or neck results as an impusle buy. As in, “Ooh! I want a massage, too!” The places usually tend to be very spare, and the only bit of decor might be reflexology charts. The other notable difference tends to the equipment. In Jersey, massage places tend to use specialized chairs that allow the massuese to focus on a person’s back, neck, and shoulders. There are also tables. Typically, most massage places in Changzhou tend to only use the table. Neither me nor my friends have more than a very few massage chairs — just the tables. Interestingly enough, I have only seen Chinese immigrants and green card holders working at these places. You never see a non-Chinese person. Only on one occasion did I get a massage from a second generation Chinese-American who could speak English fluently. In most cases, many of these workers can barely speak broken English beyond, “How many minutes” and knowing body parts. Conversation between parlor workers always tends to be in Mandarin. It would be a mistake to think these types of Chinese-centric businesses are common across the USA. I have seen mall massage joints in West Virginia that employed no Chinese people at all. In many regards, this is just one, of many, examples of how multicultural New Jersey can be.